← Do You Prefer It Cold or Hot? I’m going to the White House!! I was not planning this but my agency received several tickets and I was asked if I was interested. The White House opens its gardens to the public twice a year, spring and fall. On April 26 & 27, visitors will be able to see the Jacqueline Kennedy Garden, the Rose Garden, the Kitchen Garden, and the South Lawn. The National Park Service distributes timed tickets to this free event on a first come, first served basis. The best part is that you can bring your camera! 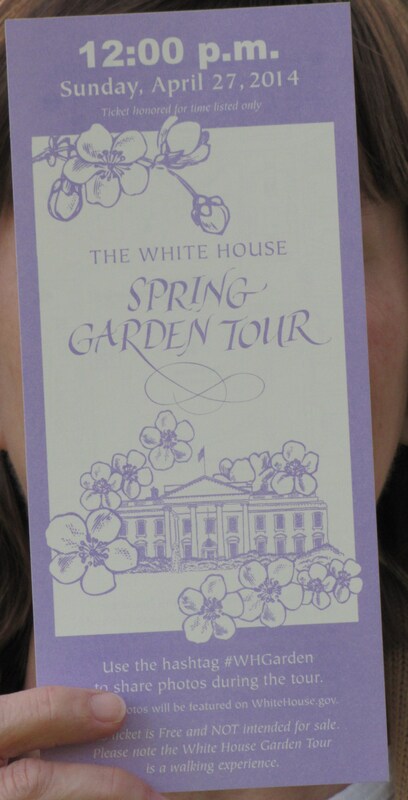 Visitors can use the hashtag #WHGarden to share photos; some of which may be featured on WhiteHouse.gov. This entry was posted in Uncategorized and tagged pegplant, white house spring garden tour. Bookmark the permalink.